Onurina Ikikoyi cannot recall the exact date she delivered her tenth and last-born child. However, she remembers the joy she felt after giving birth to the only girl-child in the family. Celebrations went for a week, she recalls, as her relatives and friends delighted in yet another precious addition to the family. For Onurina, having many children meant a guarantee of a better and secure life in old age. In her culture, children provide for their parents. They are a safety net when one is frail. But for Onurina, fate had its own ideas. In May last year, Onurina was selected to be part of CARE’s small livestock project, which is being implemented in her area. She was given two goats. 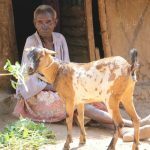 Due to her failing eyesight and advanced age, her only daughter and grandson takes care of the goats for her. They milk them every day and give her the milk as part of her breakfast. “I like goat’s milk so much,” says Onurina. “It gives me strength when I drink it,” she says with a smile. Onurina is not the only elderly person being supported by CARE in the small livelihoods project. 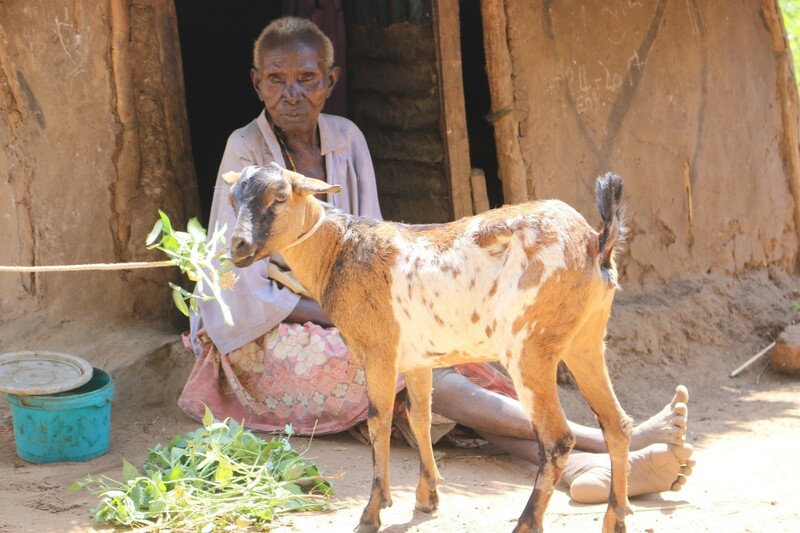 Among the 700 beneficiaries who received goats, 150 are above 50 years old. One of them is Uleda Ilika, 57, who is also a widow. 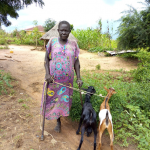 The small livestock project falls under the South Sudan Joint Review project 4, which CARE is implementing in Torit. The project aims to save lives by providing assistance to communities by reducing acute humanitarian needs among the most vulnerable people.